May 10, 2011 April 26, 2014 Anna Hibbard2 Comments on Clip, Clip, Clip, are we saving money yet???? Clip, Clip, Clip, are we saving money yet???? It was a cold rainy Sunday morning a couple of weeks ago. Doug was working and I was just lounging around the house wishing I had a Sunday paper. Living out in the middle of nowhere makes it hard to just jump in your car and run up the road to get whatever you may be wanting or needing. Sunday morning it was a paper. I have been watching Extreme Couponing on TLC and that has put a bee in my bonnet. I think we’ve all cut out coupons from time to time. My perfect idea of coupon savings use to be to clip enough out of the Sunday paper to pay for my paper. A savings yes, but after watching that show I think I’m ready to move on to bigger savings. Now some of those people on that show I think have a real problem. In later years we may see them show up on “Hoarders”. There’s a show that scares the living daylights out of me and I rarely watch it because its just a little sad to me. I would like to save large amounts on my groceries and have people clap when my huge basket up groceries final total is $5.36. But I don’t think I need 500 bottles of Soft Soap, even if they do end up being 25 cents a bottle But 24 bottles of soft soap I could use. I figure that’s enough to last about a year. I don’t want to turn my house into a warehouse, but I do have that little metal building outside. That’s where I store my Christmas decorations and outdoor furniture during the off season. But if I put up some shelves I think it will do. I may have to plan out my grocery shopping day, but so what. We don’t usually buy groceries every week anyways. We have two refrigerators and a nice size upright freezer. So when we find things on sale, we usually stock up. After doing some research I found that most serious couponers use those baseball card pages. Those are the pages they insert the cards in to display them. They put the pages in binders and use dividers. 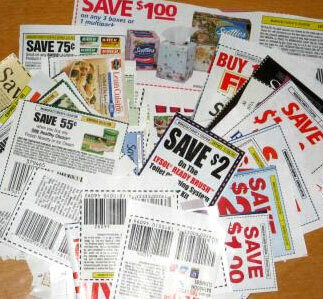 You divide up your coupons however it makes sense to use. If you’ve got 10 coupons for soft soap, they all go in the same slot. With internet access there are plenty of coupons to be printed. 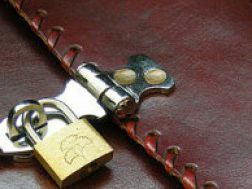 There are coupon services that cut out coupons for you for a nominal fee. You can buy groups of coupons for certain items on Ebay. I think I remember seeing 2 sets of Sunday papers bundled together and sold at a reduced rate on Mondays. So today I will go in search of baseball card pages, a binder, dividers, and discounted Sunday papers. Of course I need to save enough money up front to pay for the baseball card pages and the binder. Does Kroger still double coupons?? >I'm still looking for the baseball card pages. I can order them on Amazon, but hoped to find them local. Next Once upon a midnight dreary……….